Home » Call for paper » Constructing the “Soviet”? 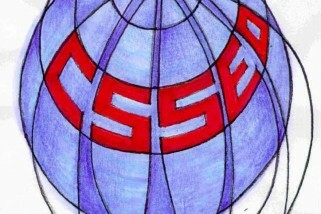 European University at Saint Petersburg opens a call for papers for Constructing the “Soviet”? Political Consciousness, Everyday Practices, New Identities, an annually held conference for Master and PhD Students doing their research in the humanities and social sciences. This 8th Conference will take place on April 18-19, 2014 at the historical department of the European University at Saint Petersburg. The aim of the event is to launch an international discussion on issues of Soviet history among students, to create connections between scholars and to find new research methods and approaches. This conference gives young scholars from Russia and abroad a chance to discuss different aspects of Soviet everyday life, politics, economics and the arts. Participants will be able to attend lectures of well-known experts in such fields as Anthropology, History, Sociology and Philology and to receive their commentary and critique. – Soviet Childhood: Utopia and Reality. Teaching Methods and Theories. Toys and Games. – Public Soviet History: Practice Oriented Approach to Soviet History. A book of chosen papers will be published by the beginning of the conference. Short papers requirements: 15 000 characters max. (including spaces and footnotes); MS Word (versions 1997 – to 2003), automatic footnotes. Please also include your contact information, name of your university and department, and year of study.